AccuBuild is the custom solution in Construction Management Software that is able to meet ‘the unique 20%’ that every Professional Contractor possesses. Their competitors’ product will most likely meet 80% of a business’ needs, right out of the box. However, it is that remaining ‘unique 20%’ that makes one business different from another, falling outside of the ‘typical 80%’ needs. That 20% represents all of the unique needs, functions, and particulars of a client’s unique business structure. AccuBuild believes that one size does not fit all; setting AccuBuild apart from their competitors is their ability to offer One Tailored Solution. Typically, Professional Contractors manage areas of their business such as Document Management, Financial/Payroll, Project Management, and Workforce in separate, antiquated systems or modules. AccuBuild enables today’s Professional Contractor to manage their entire business inside One System. Alliance Solutions Group has helped over 3,000 businesses to select and implement construction accounting software, project management software, estimating software, service management software, property management software, and more. Alliance Solutions Group is the largest Sage reseller in the United States, specializing in the Construction Industry by supporting Sage 300 (formerly Sage Timberline) & Sage 100 Contractor (formerly Sage Master Builder). The software solutions they represent, combined with their implementation processes, allow clients to do what they do best – run their business – at an optimized level. Alliance Solutions Group provides the flexibility needed when choosing and implementing solutions to streamline business processes, control costs, and lower risk. Applied Business Software is a market leader and global provider of software systems and solutions to the lending industry. ABS offers a complete suite of software systems and solutions specifically engineered to address the needs of those in the lending industry who originate and service loans. Automate and streamline loan servicing tasks with The Mortgage Office™ and The Loan Office™. C3 Business Solutions, through partnering with Oracle, 3rd Party Providers and its clients, cost-effectively delivers the best value-added and tailored business solutions in the industry. C3 Business Solutions is and will continue to be a dominant Oracle E-Business Suite service provider in the western region and deliver related product solutions worldwide that are second to none. With over 15 years of serving Southern California, their talent and experience focuses around helping the client become self-sufficient with Oracle E-Business Suite. CFO on the go provides leading-edge business solutions to construction, service & real estate business. CFO on the go specializes in the implementation, consulting, and training of Sage Construction solutions including Sage 300 Construction and Real Estate (formerly Sage Timberline Office), Sage Estimating (formerly Sage Timberline Estimating) and Sage 100 Contractor (formerly Sage Master Builder). From strategic planning through implementation and deployment, they apply real-world experience, best practices and a client-centric focus to deliver technologically advanced software solutions that dramatically improve business performance. 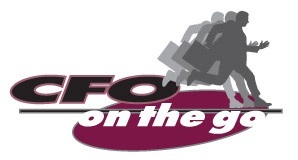 With over 1,500 clients CFO on the go is uniquely qualified to provide company software and services in the areas of Accounting, Document Management, Estimating, Project Management, Property Management, and Service Management. CFO on the go will help you maximize efficiency within your company and make it easier for you to do business with your customers, vendors, employees and partners. Network Consulting Group a premier provider of business – level telecommunications solutions and consulting services, including voice, internet, data, wireless and cloud solutions. They are straight-forward, reliable and ethical, with a simple mission: Provide top-notch telecommunications and consulting services paired with awesome customer service. SRP Computer Solutions, Inc. approaches the technology marketplace with one goal: to design software that makes all of the jargon and confusion manageable for any business while meeting today’s dynamic business needs. From their inception in 1991, they have endeavored to make custom solutions that solve their clients’ technological problems, increase their productivity, and empower them to focus on growth. They use proven, flexible, and robust technologies to provide solid solutions for a wide variety of enterprises. SRP’s long-standing mission has been (and continues to be) to enable businesses to capitalize on the efficiency of technology without the hassle of maintenance.